"with that 'we' should be satisfied with what 'we' have stolen and just surrender our militancy and arrogance unto our belief and the international community as represented through the United Nations that mankind, like "us", is inherently good, forego calling this place what we'd like and become decent, human-loving beings who pray that those against whom 'we' have transgressed forgive 'us' and let Us all work together to show the world how Hell can, only by the hand of man (believing in one or more god or not), be transformed to Heaven on Earth. " Burning Palestinian Olive Trees - fire set by Israeli Settlers. General Matti Peled who was the chief of Logistical Command during the war agreed: the thesis according to which Israel was fighting for her survival was nothing but a bluff which was born and bred after the war…. 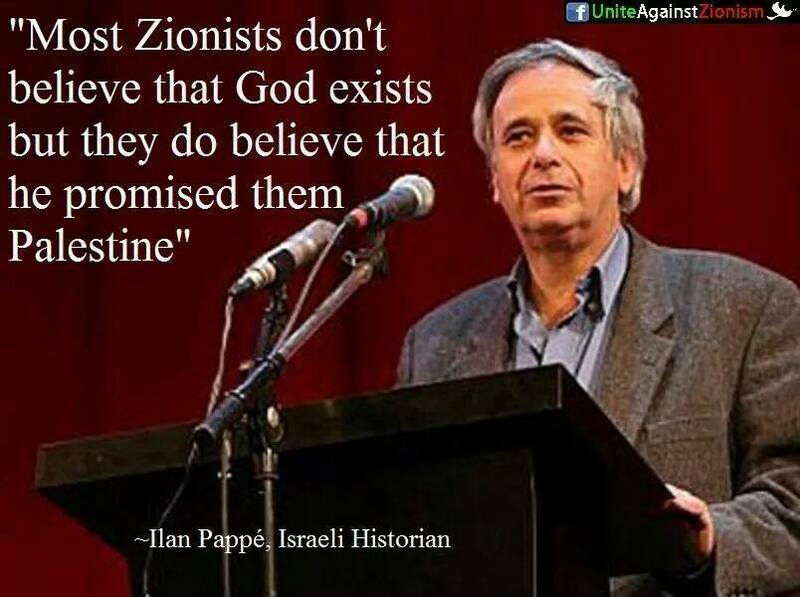 Israel was never in real danger and there was no evidence that Egypt had any intention of attacking Israel”. ...The corruption of Judaism, as a religion of universal values, through its politicization by Zionism and by the replacement of dedication to Israel for dedication to God and the moral law, is what has alienated so many young Americans who, searching for spiritual meaning in life, have found little in the organized Jewish community.” Having witnessed the war on Lebanon (2006) and three punishing assaults on the civilians of Gaza Brownfeld wrote in 2014, ”What we are witnessing today, synagogues flying Israeli flags, programs urging American Jews to immigrate to Israel, their real homeland, is a form of idolatry, making the sovereign state of Israel the object of worship, rather than God. "The Zionist vision was born out of the total rejection of this caricature. Jews would cease dealing in stocks and shares and money-lending. Jews would till the land with the sweat of their brow, do productive manual work, reject all kinds of parasitic speculations. This was considered such a high ideal that it justified even the displacement of the indigenous Arab population. This past Friday, the American Anthropological Association, with more than 10,000 members, became the largest U.S. academic organization to endorse a boycott of Israeli institutions and to affirm the Boycott, Divestment and Sanctions movement at an annual meeting. The resolution will be voted on by the full membership this spring. The results of the vote on Friday — 1,040 for, 136 against ... Notably, another resolution, critical of Israel but condemning a boycott on the grounds that it amounted to a “refusal to engage in a productive dialogue,” failed spectacularly, with just 196 in favor as compared to 1,173 against. The key thing to stress is that BDS is not against dialogue based on an ethical commitment to rights; it is, however, against the false and unethical kind of dialogue that ignores or downplays legitimate claims for rights and in so doing simply creates alibis for the perpetuation of inequality. This distinction holds true whether we are talking about discussions between heads of states, or between artists, writers, scholars and students. Since the AAA vote has dramatically articulated these two opposing positions with regard to the capacity of “dialogue” to address the issue of Israel-Palestine, it is critical to be aware of what BDS actually is and what it offers. For it is the single most powerful and effective nonviolent force working for one of the most important human rights causes in the world. The campaign for boycotts, divestment and sanctions (BDS) is shaped by a rights-based approach and highlights the three broad sections of the Palestinian people: the refugees, those under military occupation in the West Bank and Gaza Strip, and Palestinians in Israel. and Respecting, protecting and promoting the rights of Palestinian refugees to return to their homes and properties as stipulated in UN Resolution 194. The BDS call was endorsed by more than 170 Palestinian political parties, organizations, trade unions and movements. The signatories represent the refugees, Palestinians in the OPT, and Palestinian citizens of Israel. I really don't understand well politics of the us, but Biden sounds quite crazy. What is his idea? I've read all the article by Corey Robin, but don't yet get the meaning. I think that Biden is worried about the diminishing support of Israel among Americans, but don't understand well, if that kind of talk would be the way to get more support for Israel. Biden is a Zionist warmonger. Does anything else need to be said to condemn him??? But Biden can't fight wars alone. How could he expect getting more others to follow him with this kind of utterances? Corey Robin's "Biden stunner" depicted Biden up to his hair plugs in a pool of zionists whom he was wooing and wowing while celebrating at his residence a Jewish New Year, The Biblical name for this holiday being Yom Teruah ( literally "day [of] shouting/raising a noise") or the Feast of Trumpets. Though Biden excels at trumpeting -famously tone-death at times, tooting his own at others- at this particular apartheiditic feast he could have been sucking air backwards through his instrument and the noise wouldn't have mattered one iota to his guests with regard for their support of Israel. In other words, Biden was preaching to the choir, seeking to be more loved by them. "Donald Pruden, Jr. : The United States pays out of its national treasury the money Israel uses to dispossess the Palestinians of their land. This fact alone buys us the right to criticize Israeli policy. ...as long as Israel takes US money, then the citizens who pay that money can weigh in on how it is spent by its client regime. This is because WE AMERICANS ARE IMPLICATED IN THE POLICIES OUR CLIENT REGIMES ADOPT. … Have the Israeli leadership vote to reject ALL future economic support from the United States, then you can claim that any American criticism of Israel is suspect and selective. It won’t be true, of course, as long as Israeli policy does not change, but at least the position could be taken seriously." I agree quite much with Donald Pruden, Jr with this. "Donald Pruden, Jr. : The United States pays out of its national treasury the money Israel uses to dispossess the Palestinians of their land. This fact alone buys us the right to criticize Israeli policy. ...as long as Israel takes US money, then the citizens who pay that money can weigh in on how it is spent by its client regime. But when Biden is saying that 'There is really only one absolute guarantee, and that’s Israel'; doesn't it mean that he doesn't trust Americans any more? And doesn't that utterance of doubt of trust make Americans to trust Biden and his like even less? Or in America, will Biden's remarks make more people just to give to Biden still more assurances of unlimited support? I'm feeling it quite remarkable that Netanyahu won the elections in Israel again. Leading democrats in America must be now quite 'irritated' about the way how Netanyahu managed to use American republicans' support for his cause. It will be interesting to see what kind of consequences this will have. Hannu, Netenyahu had a HUGE amount of Jewish Democratic support, as well. They just hid it better. SBA: I'm starting to understand. Little by little. And there is very little you can do. I think Jews are reacting more to what happened to them in the 30s and 40s rather than 2 millennia ago. The problem stated in the title of this piece is never addressed. Jews were persecuted for centuries in Europe, culminating in a genocide. One would think Europeans would have been sufficiently horrified by the holocaust, but no, anti-semitism is on the rise again.